ETA approved when used with Fischer RGM threaded anchors. Universal vinylester injection resin for anchoring in non-cracked concrete and masonry. Significantly shorter curing time allows for rapid progress even at low temperatures. 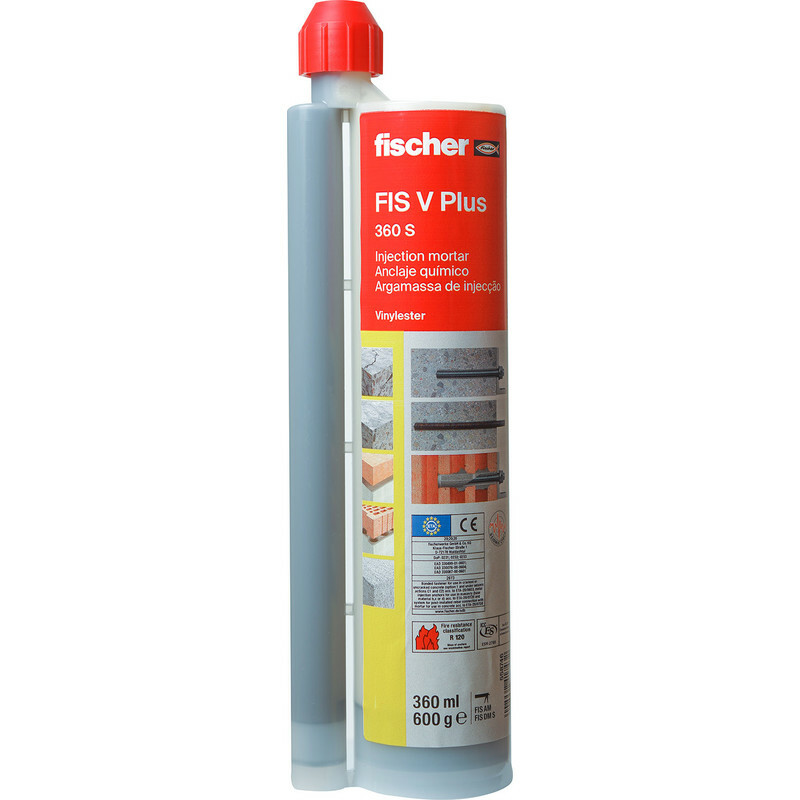 Fischer FIS VW 360S - Vinylester Styrene Free Injection Resin - Winter 360ml is rated 4.0 out of 5 by 1. Rated 4 out of 5 by Stevie B0008 from Very strong bolt resin This resin goes very hard very quickly, must be ready to inject bolt holes quickly one after another otherwise resin goes hard in cartridge mixer nozzle and then is unusable.